With all of JD's amazing 1st Birthday Carnival Party features I have had the pleasure of meeting some wonderful party planning mommies. I've received very nice emails requesting vendor information; so, I thought I'd take some time to post a few of the most commonly asked questions about the party and I'm hoping by the end of the week to also have a few tutorials posted. If anyone has any questions please feel free to email me through my "contact me" button and I'd be happy to help! Where did you get those gumball machines? I purchased the gumball machines from a wholesale company named RhinoMart. 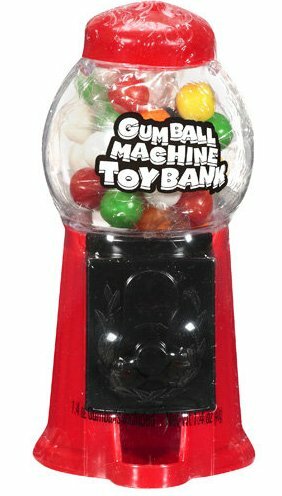 The gumball machines come in quantities of 48 for $47.70 and are actually Gumball Machine Toy Banks! Although the picture on the website shows multiple colors, I only received red gumball machines, so if you're looking for a specific color I suggest you call customer service first. I loved the gumball machines, I've actually been thinking of ordering them, do they ship quickly?